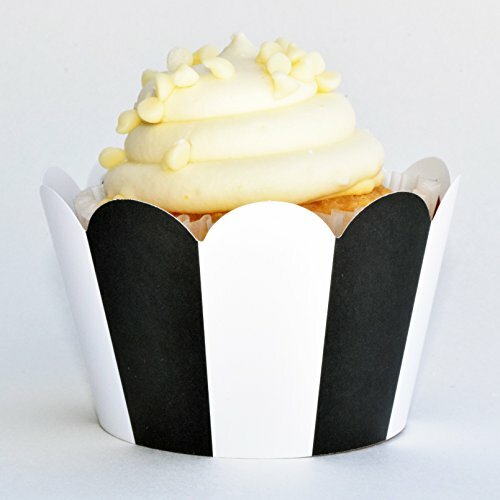 36 Cupcake wrappers, adjustable to three sizes and reversible: one side shows a card suit design and the other side shows black and white stripes. Dessert Skirtz cupcake wrappers are made in the U.S.A. with high quality paper and soy-based inks. 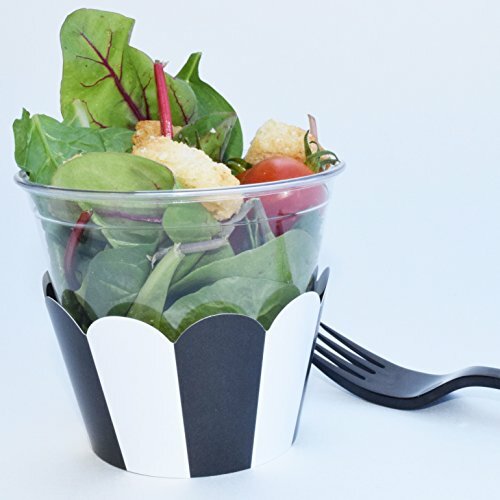 These cupcake wrappers come flat and are quickly assembled with a simple tab and slot closure. Adjustable to three sizes, Dessert Skirtz cupcake wrappers fit most standard cupcakes whether homemade or from a bakery. 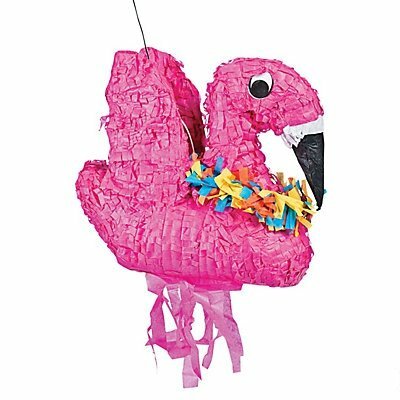 Great supplies for adding your party theme to the table or cupcake tower. 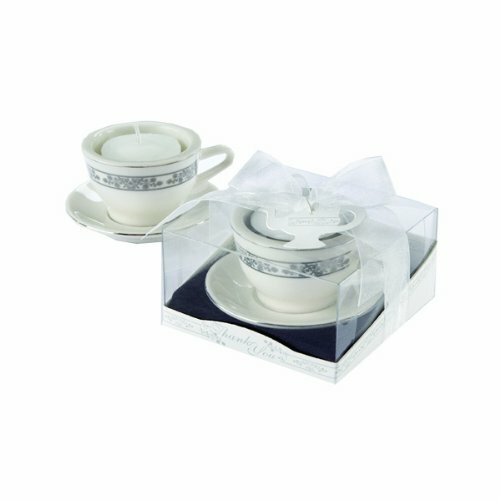 These cupcake holders are quick and easy decorations for your dessert buffet or cupcakes but will make such an impact at your event. 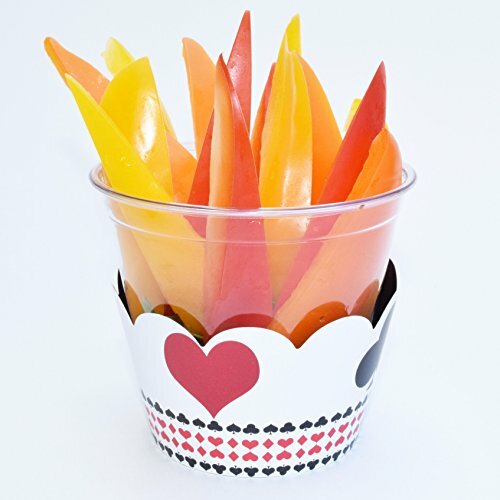 Use Dessert Skirtz to wrap cups, then fill them with appetizers, sundaes, or party favors. 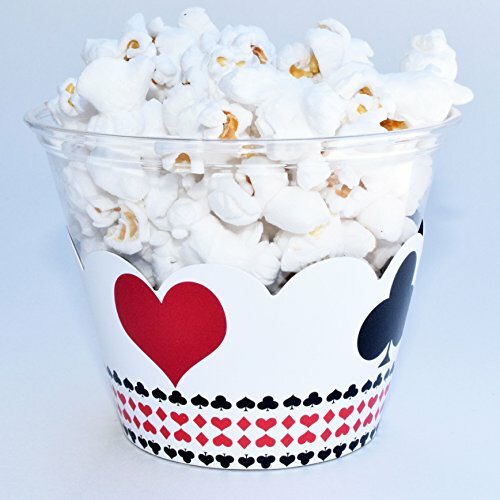 These fun cupcake wrappers are the perfect addition to a Vegas casino themed 30th birthday, an Alice in Wonderland or Through the Looking Glass party or event, or make a statement on the buffet at your next bridge or poker night. 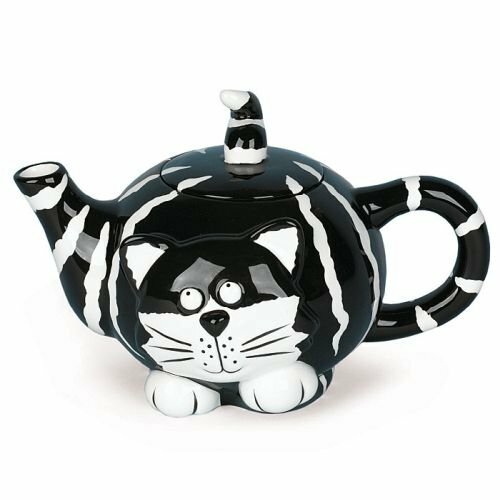 The opposite side is a classic black and white stripe that is the perfect complement to your casino party, but works equally well on its own with som may other themes. 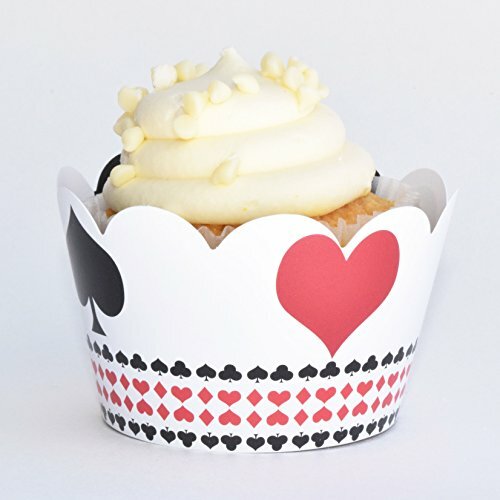 REVERSIBLE- Las Vegas poker playing card design reverses to black and white stripes pattern on each cupcake wrapper. 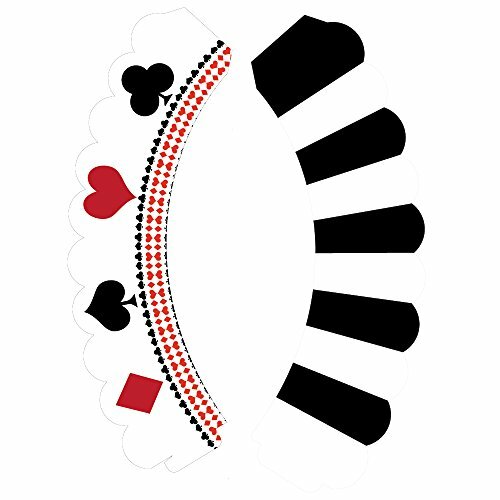 Fun spades, clubs, hearts, and diamonds in red and black make the ideal casino party decor. Perfect patterns for a casino theme adult birthday or corporate event. 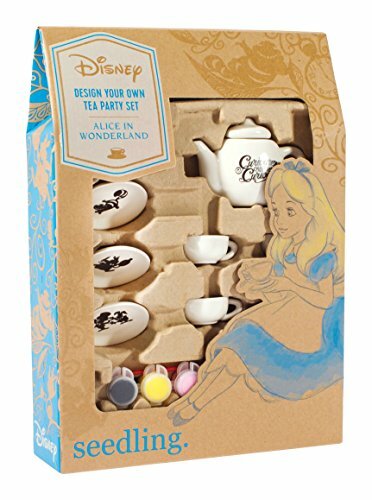 Great for Alice in Wonderland or Queen of Hearts party, New Year’s Eve, or family game night fun. 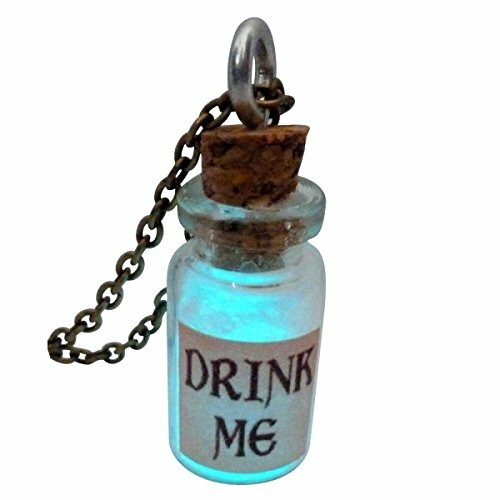 Perfect for both adult events and parties for kids. ADJUSTABLE to three sizes for standard homemade and store bought cupcakes. Assemble in seconds by sliding the tab into one of three slots. Diameter across the bottom of the assembled wrapper is can be adjusted to these sizes: 2.25 inches, 2 1/8 inches, or 2 inches. These are bottomless wraps, not cups. 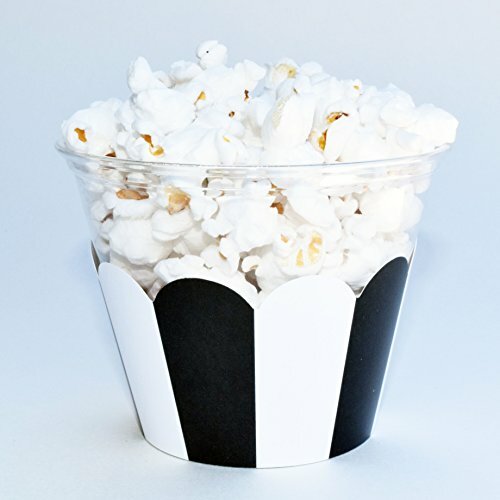 Use them as drink sleeves, cupcake wraps, or as a collar on a cup to create gorgeous single serve treats or appetizers on your party. These make for a super fun gambling groom’s cake table! 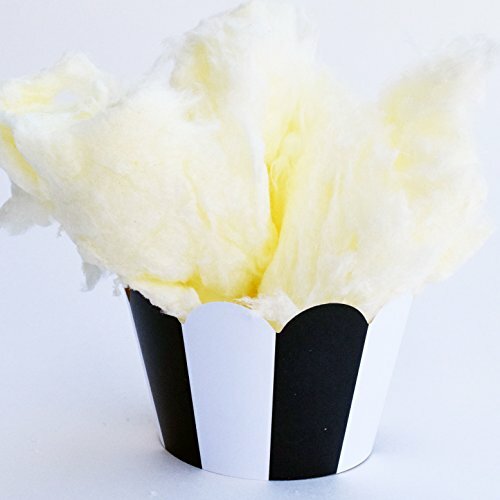 MADE IN U.S.A.- High quality heavy-weight paper is aqueous coated, helping your cupcake tower or dessert display look fresh and fabulous for hours. Make ordinary cupcakes look like professionally decorated masterpieces in seconds. Use the playing card suits pattern alone for a gambling themed adult event or use the poker chip striped side for almost any black and white party theme. Use both coordinating patterns together for a fun retirement party or a Vegas New Year party. EASY CUPCAKE DECORATING- These cupcake wraps are a quick and easy way to decorate cupcakes or other party foods to fit your theme or party. 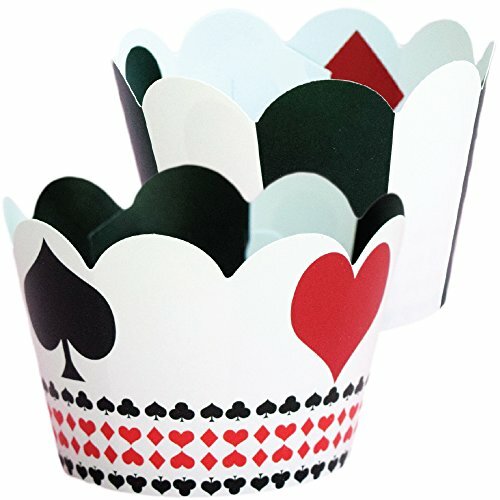 No need for colored frostings and elaborate cupcake toppers, simply skirt your cupcakes and make a stunning card or poker theme cupcake tower in minutes with ordinary cupcakes from your bakery or homemade. ALL OCCASIONS- These fun card party theme paper cupcake wraps will add style to your party table! 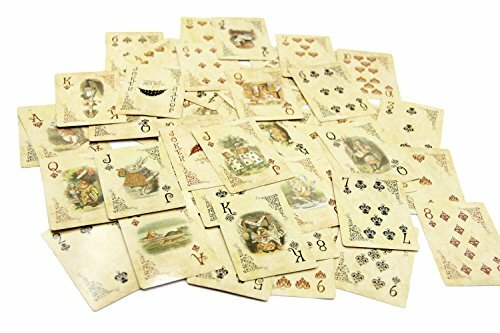 Great for 30th birthday celebration with a poker theme, dress up bridge night treats for the ladies, a fun playing card theme family night of Texas Holdem, Poker or Pokeno, or a regal Queen of Hearts addition to an Alice in Wonderland or Through the Looking Glass themed birthday party for kids.